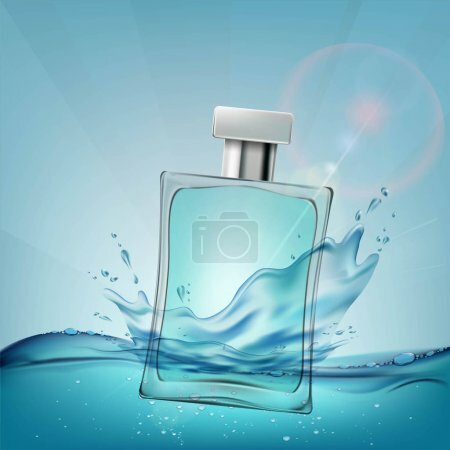 Glass container with a male perfume. Cosmetic ads template. Stock vector illustration.